Rezdy is designed for tour, activity and attractions providers, as well as cruises, shuttle buses, charters and vehicle rental businesses. Rezdy is the worlds leading independent booking and distribution platform for tours and attractions. 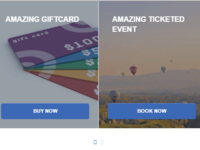 Take control of your business by enabling online bookings in real time, manage resources at the click of a button and connect to some of the worlds largest travel networks such as TripAdvisor and Expedia. Get world class support from your dedicated customer success specialist who will be more than happy to help you setup your products, pricing and calendars. See how Rezdy can help you today! Pros: It is a very complete solution for tours and activities. Once you understand how it works, it is a very good way to prepare your company for growth. Cons: We warned Rezdy many times about a problem when Brazil should get into Daylight Saving Time. The Brazilian government stated that in 2019 the DST would be postponed in 2 weeks. Sessions had wrong times and iit would not be available in Expedia for the same reason. The support team used to be very attentive to our demands, but there has been a sudden change in behavior lately. We are a big company with more than 1,000 bookings/month, and Rezdy's lack of support is compromising the entire company. Activities and transfer are booked at a certain time, but the document sent to the passengers states a different time and sometimes a different day! Clients are feeling suspicious about this change in times and dates, even if we explain that it is a system's problem. Pick up times in tours have been changed automatically and clients are getting impatient about that. We have been trying to receive and urgent answer from the support team, even calling them, but no answer. This is completely awkward, considering their previous behavior (answering promptly). Overall: Overall: we have a serious situation going on, and it seems they couldn't care less. It is jeopardizing the entire company. We had to build a task force on a Sunday to try to organize things manually to minimize all the problems caused by the system. Thank you so much for your feedback. I am sorry you had such a difficult with your daylight savings time changes. I'm sure that has been a challenge. Unfortunately, most of this was something that was out of our hands and was due to your government making those changes to their process. We had bubbled your urgent request up to our dev team but much of the issue was due to the fluctuation from the Brazilian government and we weren't able to make the adjustments to your sessions as quickly as you had requested. I do apologize for any frustration this may have caused. As far as your other suggestions/requests, rest assured we are continuing to make changes to our system and do roll out updates often. Many of these updates are based on the suggestions of our suppliers/customers so please know your requests have been heard. Please stay tuned for continued roll out's of new and exciting features coming soon! Pros: I've used Rezdy for many years and even though sales reps from many of their competitors consistently try to woo me over, here I am today still working with Rezdy. First a foremost, Rezdy is the most robust booking software you can subscribe to at a monthly flat rate. All the other contenders charge IMHO an unreasonable amount for their "free" software. It's a good deal if you aren't doing much revenue, but as soon as you get to some bigger numbers, it becomes a big hit on the bottom-line. They have certainly evolved for the better over the last couple years and I am continually impressed in how they improve from year to year. They continue to add great features and are an essential component to my business. Cons: One feature I would like to have is importing tour session data from a CSV file. If you are coming over from a different system with inconsistent times in your tour sessions (like those working with cruise ships), it is tedious to get it all imported as you have to do it one at a time. A spreadsheet import would be amazing here. For what it's worth, I've never seen any system have this feature though :-/ Getting setup is sometimes a struggle, but as long as you are patient and willing to work diligently with customer support, everything will be great once you are off and running. Pros: The platform is very customizable and there are preset configurations for various types of tours and activities which makes it a huge time saver when setting things up. They really get the need for data and analytics and make a good number of tools available to easily integrate with Google Analytics and Google Tag Manager. The Trip Advisor Review Express Integration also makes it very easy to grab a bunch of reviews and set the request process for reviews on auto-pilot. They also have these widgetized elements that make embedding calendars and products into your website very easy. All around, a great platform that really increased our bookings YOY and dramatically increased revenues in the business while lowering our time and customer interactions to get an booking. Highly recommend. Cons: It is a VERY robust system, and it does a LOT of stuff, so, there is a lot learn. The system is well documented and support is prompt, so like with any new system, you just have to work through it. A series of setup or getting started videos would be helpful though. Overall: It has been really great and a big boost for our business. Pros: Ease of use, the ease of implementing it in our website and the AWESOME (!) support team. Cons: The "Reports" tool especially the export function gives a very bad user experience and it is not calculation properly (you can't rely on the exported csv and you have to recalculate it manually). Overall: We operate hire boats and guided tours with Food and Drink Add-ons purely as online-prebookable. Rezdy was easy (but very time-consuming) to setup and it is very easy to modify products and resources. Any occuring issues or questions are tackled by the superb support team immediately and thoroughly. So far (2.5 years of operation) we have not experienced any outage or software glitch with rezdy. Hello there Gerd, Thank you so much for sharing your experiences with Rezdy. I am glad to hear that you have gotten such great support from our Support team. They are pretty darn awesome! Thank you for also providing feedback about that "reports" tool. We have already been made aware of this issue and our development team is aware and working on it. Appreciate you letting us know that you have had the same struggle. Please be patient with us as we get to work on making these updates. Should you have any other feedback, please do let us know, as you have already mentioned, our amazing support team is always willing to help. Comments: We've been using Rezdy for over a year. We absolutely love it. My company would not have been able to grow into its current state without their amazing software. We've booked thousands of customers through it now and have no plans of switching. They continue to release new features that are true improvements based on product direction and customer feedback. - Fully featured for pretty much any tour business. We've changed our business model around about a dozen times now and there are very few things that Rezdy hasn't been able to do. Public bookings, private groups, gift cards, you name it and Rezdy probably does it. - Everything just works. We've never lost an order, never accidentally deleted anything, nothing has ever been booked for the wrong day, a payment has never gone missing. Their software has never been at fault for any of our errors. - Some features, particularly an easy way to cancel reservations + refund trips in bulk, that we need are slow to roll out. This isn't just a con for Rezdy though. As far as I'm aware, no competing software has solved this issue. - The backend mobile interface is a bit meh at the moment. It works, but needs a lot of improvement. Note though, that their front-end mobile interface (the part where your customer books) is stellar. 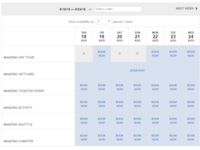 I evaluated ALL the tour booking software (no joke. all of it) that was available in 2014 and picked Rezdy out of a big long list of them. They are leaps and bounds ahead of the competition. Since then, the only competitor that I think might come close to them might be Peek. My background is in UX and software development. I know how software is built and how software shops are run. The majority of the booking software out there is terrible and made on old software development principles and technologies. Rezdy is very modern in both their methodology and technology. Bottom line: Try Rezdy, you won't regret it. And feel fortunate that, in a sea of terrible tour operator software, Rezdy has created something fantastic and continues to improve it. By the press of a button and it is changed everywhere. And opening up a stride account is not as easy as it seems as you fill in pages of detail only yo realise at the end that stride do not support your country, very frustrating. Same problem with most of the payment gateways if you stay in Africa . Hi there Jeanette Juanita, We really appreciate that you have taken the time to provide us with some thoughtful feedback. I apologize that there are so few options for payment gateways that are available in your area at the moment. I'm sorry you had such a difficult time signing up with Stripe. I'm sure that was frustrating. We are always striving to make regular improvements to our offerings. I will be sure to share your feedback in hopes of providing better options for you and your business in the near future. Should you have any questions or need any support, please do continue to reach out to our team. We are more than happy to help in anyway that we can! Cons: As our events are quite specific and unique, it would be great to have a more customised template builder available to us. Integration into our website would be ideal - - however this is probably something I will investigage further and see what happens. Would be good to do this without an iframe however. Overall: Late Thursday afternoon (and it just so happens to be June 30th) and I decide to completely change the way we take registrations for our events. I came across Rezdy earlier that morning when researching other rental / booking sites out there and was impressed with the functionality offered. Had a few questions that need answering and a very tight deadline to launch the event the next day (Friday), so was considerably shocked when I got a very nice sales assistance Greame who answered on the second ring, was able to provide me with a host of information and assuaged all my doubts about the system. Making a big business decision like this at such short notice is always daunting, however working with Greame to setup the Pro package was super easy and left me with time to deal with other loose ends and get the event launched!! That's where Cathy came in . . . had a few little issues getting my products and inventory created and after fighting with it for an hour, gave up and called Tech Support. Was again blown away that I was able to speak with a knowledgeable and helpful support staff member within 20 seconds of calling!! Cathy was able to put me on the right path in about 10 minutes and I was ready to launch my event. Brilliant!! Still can't believe the level of customer service - - the fact that you have an Australian office is a HUGE PLUS and one that really tipped the scales in your favour. I hadn't realised how much until the support was needed and to have it instantly there is brilliant. Pros: It was easy to understand and set up. It works great for us and forces parameters that we want in set bookings. Plenty of product options. Overall: It works for us, we have a complicated tourism business with many different types of trips and rules that go with them. We find ways to get around the complications to make it work. I use rezdy for my hiking tour company and it has all the features i need to be eifficient. Pros: The calendar and manifest are the best features of Rezdy and that is where I spend most of my time. They are constantly modifying the manifest options which really helps with my customer check-in and that is a time when everything needs to be seamless. Cons: I wish Rezdy had an integration with When I Work so I could help track guides with their respective shifts. Hello there Shane, Thank you so much for your thoughtful feedback. I am pleased to hear that you are enjoying our platform and that it is making your business run more seamlessly. That is exactly what we aim to provide for our customers! Thank you for also including some feedback about an area you'd like us to improve on. Please rest assured that we are always working to improve our platform and I will be sure to present your feedback to our development team. Keep you eyes peeled for regularly occurring platform updates and our monthly webinars for some good Rezdy tips and tricks. Pros: Rezdy is fairly easy to use, if you have products with fixed timings (e.g. tours that start at fixed times and have fixed durations). And if you only need english as language. Overall: Test thoroughly before you go with rezdy. If you find some topics which are not satisfying your demands, be prepared that you will never get it implemented. I'm rezdy customer since 2016, I know what I'm talking about. I'm still with rezdy because I have too many products in there and my staff is trained to address the shortcomings of rezdy with a bunch of workarounds. Not designed for rentals. Might be fine for activities. Pros: The staff is nice. I don't really have anything else positive to say. Cons: I'm not trying to be bad here - I just want to make sure that no one else expects Rezdy to be easy for their rental business. My biggest complaint is that it is very easy to NOT TAKE PAYMENT when making an internal order. They have a payment type called "credit card" that lets you type in a credit card number and then literally does nothing, but it'll be marked as paid. Rezdy does integrate with Stripe, and you can pay via credit card (which didn't take Discover until today, but that wasn't mentioned to me during the sales pitch) but it's easy to miss so make sure everyone's aware of that. You pay the set up fee, but you have to manually enter everything yourself. (This is the 3rd system I've used - both others would load everything on the back end for you, including reservations that had already been made). Because the system is not designed to take reservations for items that have different sizes, this took hours for me to do. Every bike size had to be entered individually, with its own rules for how much it costs per hour. If I want to make a small edit, I have to edit each individual bike size. You can block out entire days, but not a specific product. It's also very easy to overbook a product. There is no error message saying "hey, this product is fully booked for that day, are you sure you want to make this reservation?" Overall super disappointed and looking forward to switching. Overall: it exists. allows us to rent our bikes online. super disappointed with its functionality though. Hello there Shelly, We really appreciate that you have taken the time to provide us with some thoughtful feedback. I am sorry to hear you are still struggling with the integration of your Rezdy platform. I know you and I have spoken on the phone regarding some of the struggles you've been having and I wanted to let you know that I have personally bubbled up the not so intuitive payment processing when completing an internal booking. I hope to see that changing in the not too distant future along with some updates to the session creation process soon, so stay tuned! As far as the loading of products, we do offer some assistance with product loading, but it is currently a limited to 10 items. I will be sure to share your feedback in hopes of providing better options for you and your business in the near future. Should you have any questions or need any support, please do continue to reach out to our team. We are more than happy to help in anyway that we can! Not Ready For Big Companies. Comments: Rezdy and I have a love hate relationship and unfortunate, more hate. Rezdy has a very complex, clunky, cumbersome product setup process and the worst checkout process in history of the internet. See Con section. Pros: All the features I needed with some exceptions. Support is good. When tickets are submitted, good responses are given. Team is attentive to help you understand the system and fix bugs. Clean layout. A bright future with a few important changes. Cons: Checkout flow must have been designed by a plumber. No offense to plumbers. During the busy summer rental season, my client would receive several calls, daily, with people that did not know how to checkout! Just search Rezdy support ticket number #205248418. Basically, it's a two step checkout. First you select the date, then click Confirm Availability. Then you click the date again, at which point you are given a strange, agenda style calendar to select the duration. After that, the booking process is as usual, name info payment etc. Way to complicated for people to understand. New Feature Request Process is a voting system. However, a feature with 15 votes (ie "Customize fields in Manifest") or 13 votes or 10 votes gets completed, but a feature with 15 votes ("Customers are confused by the 2 step booking process") does not get completed. Additionally, things that are not even in the feature request system mysteriously appear as a new feature. A very strange and frustrating system. If you need a specific feature, plan on NOT getting it because only one or two people might vote on it. To give you an idea how many clients Rezdy might have, the most popular feature (Wordpress Plugin) received 50 votes. More attention should be given to 15 votes since that is 30% of their clients. Product/Rental 'session' setup process is a nightmare! My client has 18 locations, 30+ rental products, and different prices in different areas as well as holiday rate changes for holidays, like 4th of July. At first sight all is well, then you have to deal with 'sessions', yeah 'sessions'. The greatest thorn in my side of the entire 2 year experience. Once you set up a one product at a location, you have to create a 'session' in the calendar, yes, separate from the product info area. In the calendar, you create a session for that product and if you have variable prices, or a specific hour of the day you don't want a rental to be available, at each break you'll need to create several different sessions. If you have a lot of products, plan on spending several hours in sessions. The system isn't intuitive enough to build the session for you (in the background) based on the info you placed in the product info area. My "Create Sessions from Product Details" feature request only received 5 votes. Needless to say, sessions are the worst, most time consuming part of Rezdy. Someone that is not tech savvy will have a hard time learning it. And oh! sessions can only be created at 6 month intervals. So for a 9 month rental season, you need to do everything twice and then again the next year and the next and so on. Products are another area for improvement. To give you an idea about our products the setup is like this: 12 Products - Location A 10 Products - Location B 11 Products - Location C 8 Products - Location D 15 Products - Location E 7 Products - Location F 15 Products - Location G If rental product 1 is at A, B, C, D, F, and G locations, you need to clone product 1 seven times and assign each one to its separate location. Then set the prices, and such for each. After that you need to create sessions for product 1 at all seven location. Locations are really called categories in Rezdy because they don't have a feature to manage locations. My client has about 30 rental products and 18 locations, however my Rezdy account has 100 products. Most are duplicates of each other. For example, Product 1, has 16 duplicates. Yes, you can clone products, but you can't clone sessions. Documentation needs improvement. You can not bulk edit, sync products or CSV upload anything. Everything is one at a time. Last and biggest con, because of its confusing checkout process and the number resulting calls from confused renters, my client has discontinued using my website service. I had a beautiful site, with easy navigation to the products and spent two years using Rezdy. Every call was about the booking process, which is handled by Rezdy via a script embedded in page. Unfortunately, that I cannot convince the client it's Rezdy's fault. I took the bullet for them. If they only had an easy checkout system, confused renters wouldn't have called, I'd still have my client and only half of this review would be accurate. My recommendation is to wait for Rezdy to streamline a bit. And from experience, that might be a while. Delivering on their promise to date. Just what I was looking for. 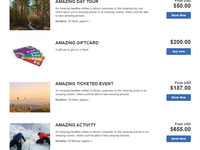 Pros: From my initial approach to my ongoing use to date, the Rezdy team and system has been exactly what I could have hoped for in the sales system for my tourism business. They really understand the complexities of tourism, travel, sales and distribution! Friendly, professional, supportive, responsive and available. Cons: From my experience to date, I'd like to see a bit more flexibility around blocking out a series of dates/times with unavailability. Right now amendments to dates/times are micro - which may not be a bad thing - but can be time consuming for what may otherwise be a relatively easy fix when you need to block out a week or so of activity. Hello there Hamish! Thanks for your review! Glad to hear you are having a great experience with us. Your feed back is very much appreciated as it really helps us grow and evolve. Stay tuned in the near future as the feature you are looking for regarding updating availability is coming soon. Keep an eye out for a webinar touching on this feature soon! The right solution for small excursion operators. Cons: Need to add ability to hide prices in catalog list view. This way you can track the customers interest without the outside influence of price. Overall: The easy to use integration of this online reservation system with my website got me up and selling quick. Now after using the system for a few years i really appreciate the comprehensiveness of the system with a great calendar, communication,catalog, on and on it all works great. I bumped down on ease of use and customer support because i wanted a feature that is not currently available and my feature request hasn't gone anywhere. Overall a great system. Thanks for your review! I sent you some custom CSS lines so you can hide the price on the catalog. Let me know how you go with that. Pros: Inventory link to Expedia, viator and many others, ease of use, online sales & calander, future agent links system, resource management so unable to over book, online help & video system is amazing! Cons: Would be good to have more dashboard options... Not all new bookings pop up on dash board for us to tick they are processed and be aware of them as some are paid upon booking, but all get emailed through so we don't miss them. The set up was painful not because it is hard to use, just hard to get my brain around new things. A face to face support would be great to have and an option to have it set up for you I would have happily paid for that - Yeah!! Pros: I don't every have to micro manage it. Every day is super easy and i never have to go into the system to correct things, when people book it is just super easy. Thanks so much for providing this feedback! I'm really glad to hear you are finding the product so easy to use and that you are enjoying it so much! Really appreciate the feedback! Please do reach out if there is anything we can ever do to make your experience with us even better! Cons: Multi-page checkout process (instead of clean single page) Setting up discount vouchers and figuring out which discount method for the task or offer at hand can be a little confusion at first It might take a little while to get the hang of how best to manage inventory and set up scheduled event slots, but once you understand, it's VERY easy and quick to do so. Thanks for addressing this with us and we're sorry to hear about your experience! Our support manager has emailed you to discuss and work on how Rezdy can be of better value to you. Please get back as soon as practical (Ticket #131885). Comments: I have just started using Rezdy within the last few weeks. It is easy to pick up how to use it for basic functions, but there are a lot of functions that are difficult to tailor to what you need the service for. It would be incredible service if only you were able to customize more features. 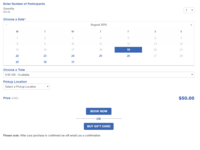 I would love to be able to change the order status for everyone in 1 session, customize the titles of email templates, add an extra that is non-taxable, add more than 1 contact email address per order, adjust the default settings, and customize the calendar (and individual sessions within the calendar). These features are not available right now, but the customer service staff have told me they are working on some of these items! However, it is unfortunate that some items get prioritized over others. Some of these features have already been inquired about on the customer "help forum" by other users years ago, but have not been prioritized because of low number of follows and likes. Careful! Don Not give them their credit card information. Comments: I started looking into Rezdy before the beginning of our last season. They promised that we could be online in 3 days! Well don't believe that if they say it. It takes weeks, sometimes months and a LOT of your own time and work to get set up! When I had a meeting to set up my account I asked to resolve ALL the problems left over in that meeting so we could go online soon. (My season was going to start two days after that meeting). After an hour the rep told me that he is off now and our conversation has come to an end. I was choked! Nothing was solved! As I unfortunately had already paid that they wouldn't refund, we agreed upon holding these funds and looking into maybe joining the following season. That was satisfactory for me. So this season we started to talk again and I looked into the system again. It seems to be well thought through and makes sense. It is quite complex, but I think that is the nature of the beast. I talked to a company that uses Rezdy and asked about their experiences. They were fairly satisfied, but they didn't use the part of the system that I was interested in the most (payments and reporting). So I never managed to get a good look into these parts of the system. I decided not to take a chance. Also the monthly charge is too high. Mind you I had already spent a great deal of time into another system and wasn't up to starting from scratch without really knowing if it worked any better, also considering the higher price. Long story short, I decided not to proceed with Rezdy, when they charged me another USD. The prices have gone up as well! So without my consent, without signing up with them they charged that amount and do not want to give me a refund. I should have listened to the RED FLAGS from my encounter with them last season! I would have kept them in mind as another option in case the system I am using right now was failing, but now I am so disgusted that will never go with a company that has such low morals! Thank you for your honest review and for bringing this to our attention. Firstly, please accept our sincerest apologies regarding the below scenario. After having assessed your full experience with Rezdy, I can definitely assure you and all others reading this review, that this is NOT the Rezdy way nor is this acceptable from our end. Our mission is to empower our customers and ensure they have the best tools to network, trade and thrive while using Rezdy. Our team will be reaching out to you shortly in hopes to gain a better understanding of what had occurred. Your feedback is valuable to us and will help us greatly in ensuring such things not happen again. Regardless of the outcome, rest assured that Rezdy will be providing you with a full refund of $199.00 USD. Brilliant team, awesome product and a great way of making our business easier to run! Pros: It does everything automatically! Great support services and business building tools! Love the SMS notifications and reminders for our guests! Cons: Long set up but it's worth it! Training our staff is a challenge but again, once they're in the know, it's an amazing tool. Overall: A fully automated online booking systems that I can connect to our website and social media sites that make booking our flights so much easier for our staff and our guests. Pros: I like the pricing set up with Rezdy they charge a monthly which is doable!! Other booking software will charge the Customer 6% for every order and this was NOT customer friendly. REZDY Links up to Trip Advisor AND the Market place. These 2 factors are huge in a successful tour company. Some booking software dont offer either of these!! Cons: The back end isnt as user friendly as other companies. it just takes longer to learn but who cares thats part of it! My biggest issue was some customers were unable to book online. After doing alot of research it turned out that safari web browser was the issue. I hope Rezdy has gotten this fixed. Havent had any issues in 3 months fyi! This is what a modern software as a service/API subscription should be. Pros: It looks good and it works 100% reliably. Aside from that it has a really nice API which is well documented and even supports web hooks, loads of payment gateways etc. Cons: They are a slow to push out small quality of life improvements (like different surcharge rates for different credit cards being suggested in 2012 and still getting upvoted but not done) and I wish they would go a bit further than tours and look at stuff like accommodation or general charter work. But all in all still very happy. Thank you so much for your kind review Jonny! I am glad to hear that you are enjoying the product so much so far. Please know that we are always working on the product and will continue to improve the system as the company grows! Keep an eye out for new features coming soon. Pros: Users provides Rezdy with the insights to make the platform better. Cons: I have not found out yet. Overall: Rezdy provides El Sol Vida with its powerful CRM platform made specifically for tour operators. "We could not handle the volume of reservations with seemless pricision 5 star service without Rezdy"
Recommendations to other buyers: Rezdy. If you want to take your tour business to the future! Cons: Until I got the hand of using it things seemed a little complex at first (eg. remembering that when I create a product I also have to create a session or sometimes I forget and create an order but then remember I haven't created a session in the calendar first and I have to scrap the new order and go create a session and then do the order all over again). Overall: Instant online bookings and notifications of online bookings, ability to work with agents online and very fast customer support. - Integration with the website went smoothly and it is a big plus that you hold our hand all the way and the support provided to us was amazing! It means a lot for small not-for-profit organisation like us. - Excited about future possibilities and growth with new features and/or regular improvements to the platform (along with the community/knowledge based forum made available to everyone). 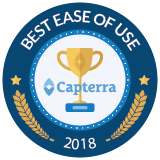 - Super user intuitive and if there are a few fields that may not be easy to grasp at first, the support and customer success team is happy to help out and quick to address any questions. Cons: - Our previous software (although not customised for tours and activity bookings) allowed us to have in-depth reporting. We would love to see more options ie. create and save reports as bookmarks straight in our accounts. Doubled my revenue in 10 months! Pros: VERY cost effective and simply to use. Cons: I don't have any cons...it does more than I ever thought I could do. Overall: I have struggled with an online opportunity for 8 years...until I found Rezdy! In the first 10 months, I doubled what I did last year in online sales. It's easy to use, simple to understand and gives me excellent tools to grow my online sales and work with new sales partners! Thank you REZDY Team! Recommendations to other buyers: Just do it! It takes a little bit of time to set it up the first time but I'm talking hours, not weeks. Once you're up and running, it's super simple. Don't let the start up frighten you; every time I needed something or had a question, the Rezdy team has been there for me! Pros: I like that my customers could book from me without an email or phone call. Lots of people prefer to book that way, and I'm sure it has increased my sales. Save me time too. Easily integrates with other platforms. Cons: I think the user interface is kind of old-fashioned and ugly to be honest. 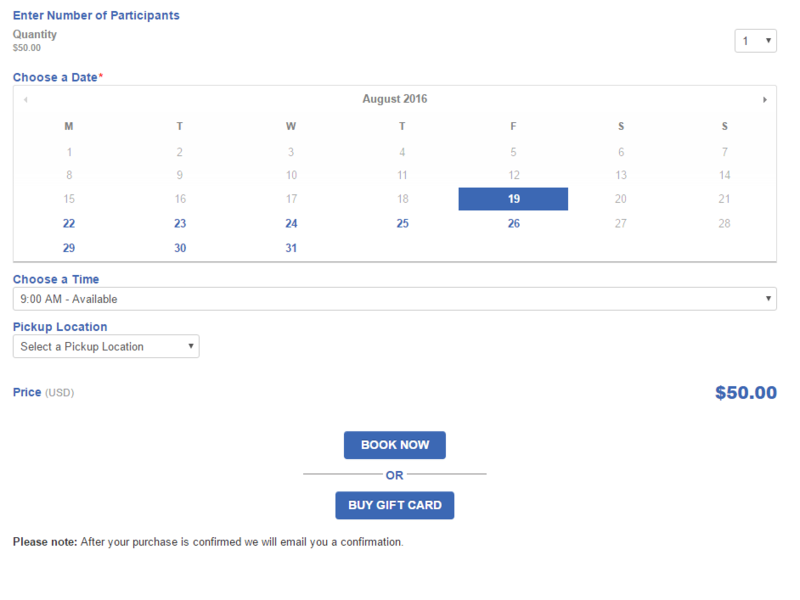 Overall: I now have a modern, slick webpage with a reservation calendar. It builds customer confidence. Pros: Its a pretty easy system to use. The system works well and clients have commented on how easy it is to make a reservation. Cons: Really wish you could figure out the issue with Safari browser, having issues with the reservation system not working properly when embedded onto the website. Would really be nice to have it installed in the website and not have to leave the site. Pros: The easy booking process is amazing, getting money from the system is great, and being able to change and edit things within the system are a breeze. Hey John, thanks for your review. Great to hear you are so positive about Rezdy. Thanks! 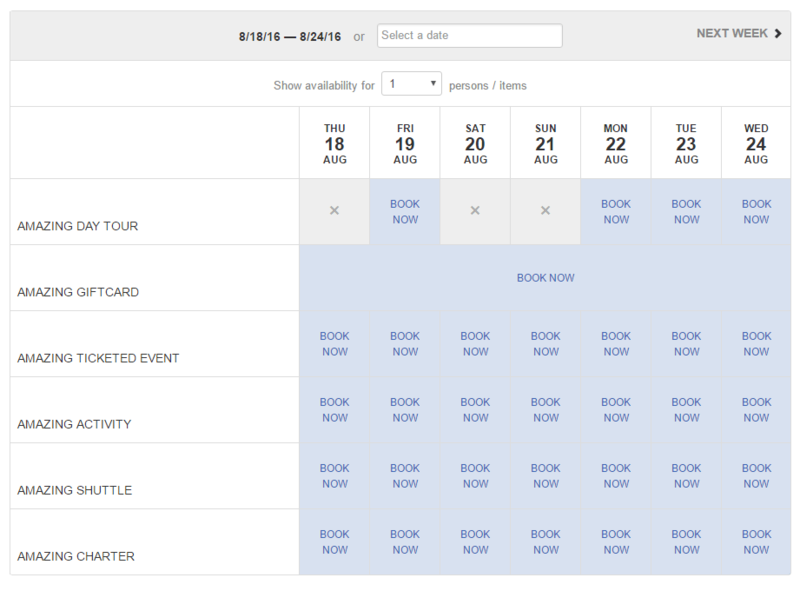 Rezdy integrates nicely with my own existing website, and has streamlined my booking process. Pros: I love the way I canenter all my products on their system then create webpages on my own site by simply copying html from rezdy. Once I get busier and have a third party build my next website, it looks like it will be very flexible in creating what i need. Cons: I was very excited about the integration between Rezdy and my accounting software, Xero. In practice, I didn't like the integration as I couldn't simply combine multiple bookings onto a single invoice. Pros: In Australia, everyone uses Rezdy. Just like it says on the tin, it's a quick & easy way to interface with thousands of agents, OTAs and more from around the world. Cons: First, it follows the classic SaaS strategy of aggressive sales techniques followed by inattentive support. The software is very powerful, but so much so that a new user (like myself, a one-man operator) will struggle to comprehend. The price is very high for a business just starting out it doesn't adjust price based on volume and price gates essential tools into the upper subscription brackets. I have no doubt that I will eventually need to consider returning to this software if I continue to scale, but for now I'm pleased to be on another platform. Hello there John, Thank you so much for taking the time to review.. We really appreciate any and all of your feedback, it provides a great opportunity for us learn and grow as a company. I can see that it has been almost a year since you have not been with us but you did indicate in your review that you may consider returning with us once your business grows a bit more. We look forward to learning and growing from feedback like yours. Please do consider us in the future! All the best to you! Great booking/channel manager. Really improved our control over the business. Cons: - No "Stop Sales" button for a specific product and/or day. Only the "block all day" function, which is not enough. Overall: Increased capacity and organization in my company. Pros: As a life-long techie I found the user interface surprisingly good, sadly there's more form than function. The feature list is comprehensive if not overbearing when you first login. Using a 'trial' account I managed to get integrated to Stripe and Xero, and setup a basic product and have it live on my website within 4 hours, very impressive. Sadly that's where the pro's ended tho. Cons: Super aggressive sales since showing an interest, to a point on the 4th phone call in 5 days I had to say to the guy if he called again I would "definitely' be going somewhere else. Found serious flaws in the resource allocations, sharing 1 asset between a multi-booking product and a single booking product (shared minibus vs private booking), the availability for the shared product (max 9 available) consistently return to 1 available after making a private booking and cancelling it again. The only way I found to fix that was manually update the Calendar for all available days. Seriously? Regardless how big your company you'll be held to ransom for one of the most basic customer selections, pick-up points. For the priveledge of that option you have to surrender a HUGE amount of subscription money that is now (keeps increasing) unaffordable for a completely new business. What's the point of an easy booking process if you then have to contact every customer to enquire where they'd like to be picked up? Restricting that option to a Premium and very expensive subscription is pure greed! As a critical booking component Rezdy left me no option but to go elsewhere. This software will save you thousands in the long run. Pros: I have used a full service booking platform before Rezdy, but you pay the price for the extra service. With Rezdy, they want you to know how to implement and run the software. It may take more time to learn, but it will save you money. That's why we are in business right? To make money. Their sales and support team has made the transition very easy for us. Already have made contact and teamed up with another operator that Rezdy introduced me to. Cons: It's more work to do. The tradeoff is that you will have to do more work, but it's better to learn about the software than to rely on constant help. This forces you to learn and in a matter of time, you will be glad that you chose Rezdy. Cons: We cant change the money device for an other, one thing we would like is change USD for Chilean Peso. Overall: Rezdy is a very easy site to use and mary's into my page as easy as a,b,c. The help desk and support team are pretty good but can at times be s bit late calling back. I'm pretty laid back so it doesn't bother me to much, but still that's the only negative. Pros: Ease of use and simplicity. It provides extensive opportunities for a small tour business like ours to compete in a global marketplace. Overall: Ease of use and the opportuntiy to promote our tour product to a global marketplace. Hi there Jeanette Junita, Thank you so much for your feedback! Really glad to hear that you are finding the platform easy to use and are enjoying the back office features as well. I apologize that our current payment gateways don't extend to your area at the moment but we are always striving to make regular improvements and I will be sure to share your feedback in hopes of providing better options in the near future. Pros: the ease of use and ability to add and subtract trips whenever i want, whether it be on mobile or desktop. it's easy, simple, and if you have questions calling is easy! Cons: the calendar function on mobile would be one of the only things that i would recommend changing. not the easiest way to view, i'm sure there is a better way. Great software, easy to use. Pros: - Rezdy proposing new features regularly. - A lot of options available. - If open, support team is reactive . Cons: - No support open for European or GMT Time. Support is quick and concerned, but we always have to wait the day afterto get a reply to our questions. - Not possible to customize all pages. 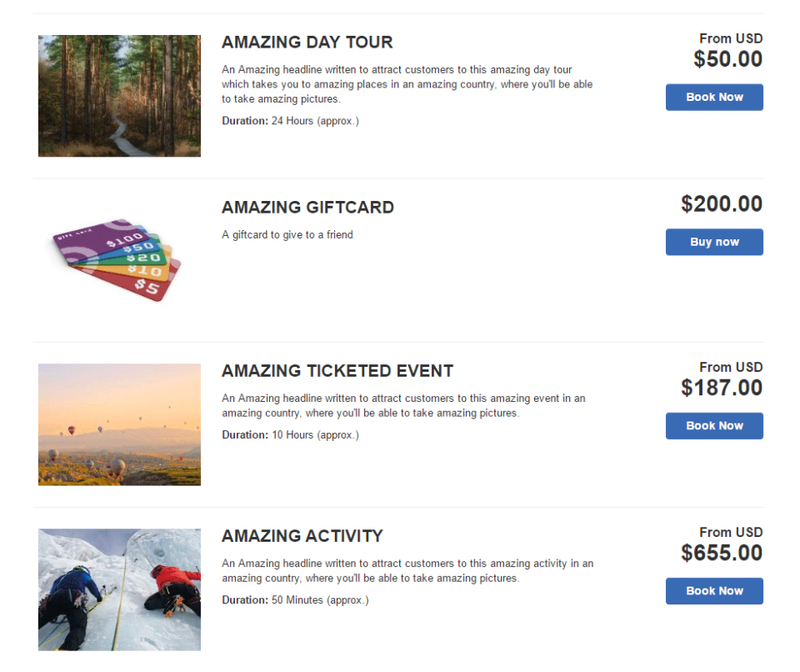 Our adventure guiding company uses Rezdy for bookings and it works very well for us. Pros: Visually it is easy to follow and use. It's quite helpful to keep track of things. It's nice that it has a clean, modern look to it. Cons: I would like more ability to run custom reports for our marketing data. It would also be helpful if the add-ons, like Smart Waiver had more ability to link up with it. Thanks for the great review Craig. Industry standard software, and they know it. Price is extortionate. Pros: It's used by most major players in the travel industry and we wouldn't be able to sell our products without it. It's powerful software that we are not completely utilising and look forward to using more features. Cons: It's price is beyond the means of a new business. I know it will be worth the ROI in the future, but I'm frustrated by the lack of options for new businesses. I also find the paywalling of essential features frustrating. I want price to be assessed by daily users or order value, not based off core features any travel business is reliant on (such as the ability to sync with Trip Advisor or offer discount codes). From wonderment to one hundred bookings.... my excitement with this product speaks for itself. Cons: Can't find anything I'd change, although would like to be able to track the detail of Stripe payments into my account. 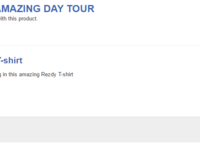 At present there doesn't appear to be any means to identify the tour for which the payment was made. Overall: More efficient and cost effective method of managing my business which is ideal for a one-woman-band. I've already recommended this product to colleagues and friends. Pros: Love how easy it is to set up workshops and also be able the categorise them. Cons: There was some confusion initially with setting permissions for different roles of those using Rezdy. Overall: Really great tool for creating online paid registration for workshops and events.